Discussion in 'Tech Tips and Gear' started by TJ Cottam, Jan 28, 2019. 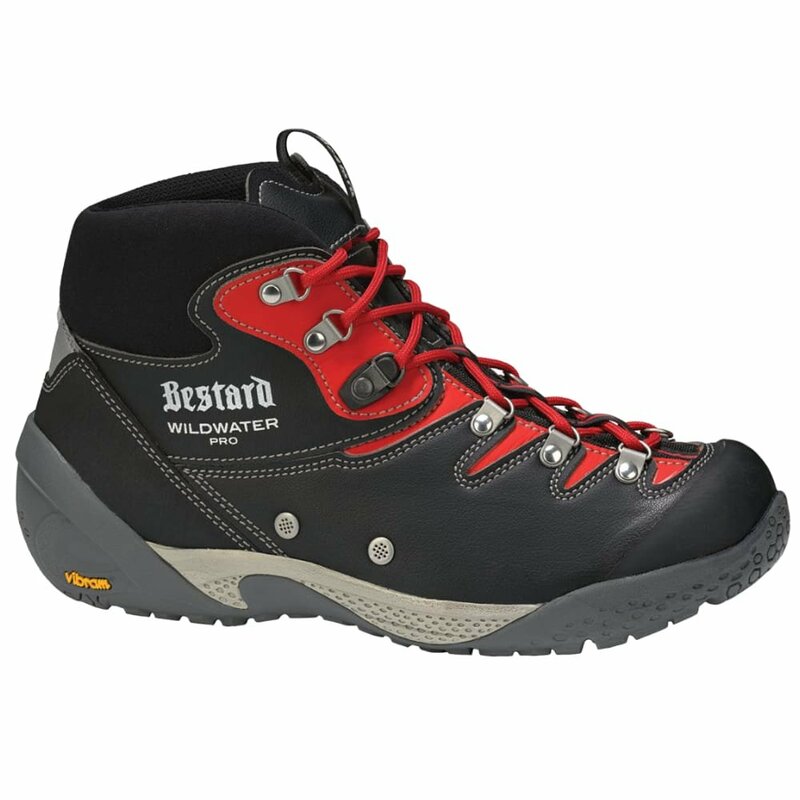 As its name suggests, the Bestard Wildwater Pro is a new boot for all you're adventures in and around the water. Canyoneering, rafting, kayaking, caving, whatever it may be, this boot is up for the challenge. With this new addition to the Hidroline family, Bestard now offers the widest range of canyoning footwear anywhere. Poron mounted jig for more comfort and cushioning. It also allows to use the boot to be worn with the anatomical insole and normal socks for the approach, and then you can remove the insole when you reach the water to allow room for thicker neoprene socks while still maintaining a good level of cushioning. Kuenn, Jenny, Sandstone Addiction and 3 others like this. TJ, I like the design of that shoe more than the older version. Thanks for posting. @TJ Cottam looks promising. Did they fix the heel-slip problem inherent in the low-cut model? There is no heel movement in the new model, likely because they lace higher. I was able to participate in the prototype testing for this boot and for me it turned out to be the best fit and performance of any canyoneering boot I have tried - and I've pretty much tried them all. I can't use the 5-10 Canyoneers because the toe box is too tight for my wider than normal foot. And my heel shape is problematic in the high top Bestard Canyon Guide boots - any lengthy hike and I end up with rubbing and blisters on the back of the heel. The toe box and heel area in the Wildwater were perfect for my feet. I wore them without any rubbing or blisters right out of the box and put a ton of miles on them. They are extremely durable, drainage is excellent and so is the traction. Of course all feet are different, but these are really worth checking out if you've experienced some of the difficulties I mentioned having with other boots. darhawk, Mountaineer, Yaron and 4 others like this. TJ - Any update on firming up when in March? And how about sizing, are they similar to the high top Bestard Canyon Guide? I should have the first pairs in about a week. I'll test out the sizing when they get here. The new boots are finally here. After comparing the sizing side by side the the Bestard Canyon Guide I would say they fit just slightly smaller than the Canyon Guide (I would say it's maybe 1/4 size different) with noticeably less volume in the front of the foot. The size difference isn't enough to change the shoe size. They are made to fit well with regular socks, for thicker neo socks the insole is supposed to be removed. They added an additional layer of padding under the insole to keep them comfortable when the insole is out. Mountaineer and townsend like this.